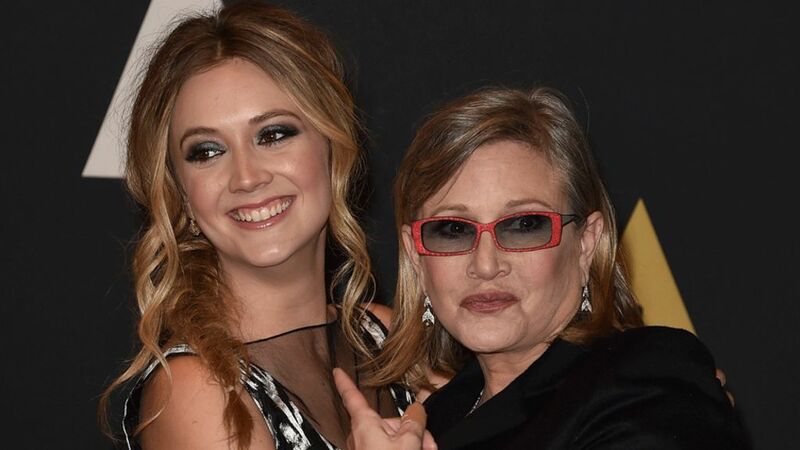 The daughter of Star Wars actress Carrie Fisher has shared a tribute to her mother on the first anniversary of her death at the age of 60. After taking a trip to Norway, Billie Lourd posted an image of the Northern Lights, something her mother “had an otherworldly obsession with”. Fisher died on 27 December 2016 after falling ill on a flight from London to Los Angeles five days earlier. Her mother, actress Debbie Reynolds, died the day after losing her daughter. Reynolds’ son, Todd Fisher, said the stress of his sister’s death had been too much for her and in her last words, she had said she wanted to be with Carrie. Lourd also paid tribute to her grandmother by sharing an image of her with Fisher as a toddler. Prior to her death, Fisher had reprised her famous role as Princess Leia in 2015 film Star Wars Episode VII: The Force Awakens and Star Wars: The Last Jedi, which came out earlier this month. Mark Hamill paid tribute to his late co-star on the anniversary of her death with a quote from The Last Jedi. Using a piece of dialogue from the box office hit, Hamill wrote on Instagram: “No one’s ever really gone…”. Hamill’s character Luke Skywalker tells his sister, Fisher’s Leia, that “No one’s ever really gone” as they say goodbye. The actor added the hashtags #AlwaysWithUs and #CarrieOnForever alongside a collage of pictures of himself and Fisher. Actress Laura Dern, who also appeared with Fisher in The Last Jedi, described her as “a goddess”. Fans also paid their respects. One wrote that the star “was terribly missed”. Another said the world had “lost a princess”.